You might remember the very lovely Ralph Steinbruchel from his work on Richard Chartier's Line imprint not so long ago. What we have here is one quite stunning ten minute track from Steinbruchel called 'Opaque', followed by a carefully selected host of Room40 associates for remix duties. First up is the Necks ivory tickler Chris Abrahams who furthers ideas explored on his recent Room40 album 'Thrown' and turns in a track of prepared piano abstraction and synthesized drones. Reminiscent of the groundbreaking Alva.Noto and Ryuichi Sakamoto collaboration this is a huge success and a highlight of the album. Other highlights include a show-stopping piece from the ever-reliable Taylor Deupree and a short but perfectly formed bass heavy monster from Aussie feller Oren Ambarchi. 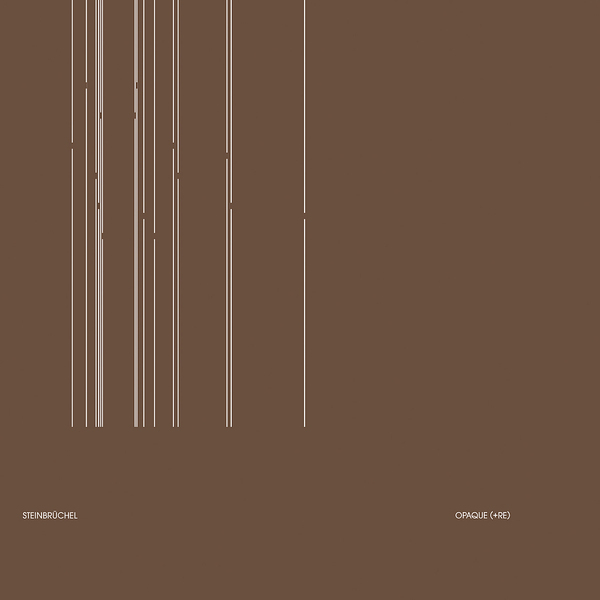 A quite mesmerising disc and one of the best collections of minimal experimental music I've heard for a while. Room40 does it again - essential.